Are you moving off Island? Downsizing or upgrading your home or your things? 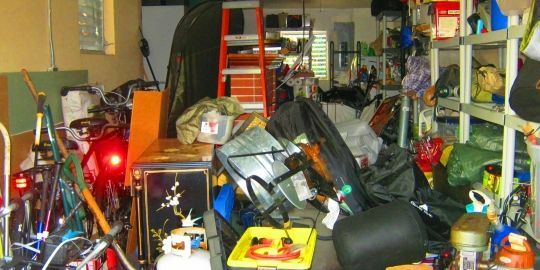 Maybe the garage is just way too full of items you don’t use anymore? We have the solution for you! We are convinced that auctions are the best way of selling your things fast without having to lose money or time in the process. More than likely you have experience in selling, or attempting to sell, your valuables on eBay, Craigslist, or Buy/Sell groups on Facebook, only to have one of a few things happen. First, potential buyers almost always ask you to lower your price. Second, they ask redundant questions, or continually ignore the way you have asked them to contact you. This causes you to lose time and patience. Third, people fail to show up, pay, or honor the arrangements you set up. How many times have you heard “I’ll be there in 2 hours”, only to have no response to your phone calls or messages for 3 days? These are just a few of the reasons we started Malama Auctions but, as time went on, we realized that there is an evolution to the DIY opportunities. We found an answer in helping others to quickly turn their valuables to cash, all while utilizing their own knowledge to speed up the process and make even more money doing it. We use the convenience of the internet coupled with the control of your time. A Seller Managed Auction is exactly what you need. This is the way to take chaos and turn it into calm relief. The question “what are we going to do?” is no longer a source of stress, because now there is a clear solution. Below we explain some of the benefits of the Seller Managed Auction process and give you an idea of how it works. Often, we find that people, through no fault of their own, have come down to the final weeks or days of a major move, only to have never started sorting or figuring out how to sell the valuable things they no longer have a use for. Many times, we will be contacted by people needing to sell their possessions with an abbreviated time window. We regretfully must tell them that we are previously committed. If there is one word we hate to use with any of our clients or customers, it is “no”. It kills a little piece of us each time we are forced to do it. We decided we had to come up with an alternative solution to better serve our customers. We are passionate about helping people solve problems, not leaving them stressed and without options. We now have a system in place so that, within hours (or possibly even minutes) of contact with Malama Auctions, clients can create their own auction via a free mobile app with a private login. You can work on your own time and at your own pace to get your auction catalog prepared. This is accomplished simply by utilizing a little piece of hand-held Android or Apple technology. Most people would feel much more comfortable buying the TV as described the second way. They know the age of the TV, the quality and that it is in working condition. Other things such as, it came from Costco, can indicate to the savvy buyer that it is most likely a better-quality model than the same brand and size TV purchased at Walmart. This type of information normally leads to more money on average, because the Buyer feels that they are getting a quality product with a higher perceived value. The “Garage Sale” mentality is something so ingrained in people that whenever an item has a price tag on it (primarily outside of a new/retail situation), almost the first question out of most people’s mouths is “will you take less?” The idea is that the price you set is the highest starting point of negotiation for the item. Whether the item is worth $10 or $100,000 the process is almost always the same. In an auction, the process is nothing like that. Each time someone makes an offer for your item, it is for a higher price than the current price associated with the item. The price will continue to rise until the highest price the community is willing to pay on that day, at that time is achieved. Buyers and Sellers alike enjoy this process, because everyone knows that a fair price was negotiated this way. When having any auction, it is important to have enough interest in the entire catalog of items to ensure that you can realize the best prices. Often, we see that people will sell higher-value things like their vehicles or tools outside of the auction. They believe they can make a little more money selling them independently, but the opposite is actually true. Higher-value items will generate more interest in the auction, and the exposure will likely increase the overall prices of the rest of your items. When the majority of your items are low value, garage sale-type items, the interest will be lower from those who browse the catalog, and they won’t bid. There isn’t anything exciting enough to hold their interest! The less people bid, the less money the items will bring. 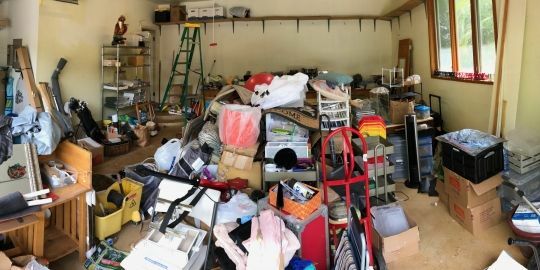 While you may have realized an extra $1,000 by selling the car separate from the auction or another $1,000 cumulatively in tools or special items, it is likely that you lost an average of $5-$10 per item on the rest of your auction. If you have 200-400 lots (many auctions have even more) you will have lost $2,000-$5,000 on the total sale of the other items. The best advice I can give you is that you don’t separate the valuable, easy to sell items from the less valuable things that you have not been able to sell as easily. We have worked with many people throughout the state and have shown how a well-rounded sale of items is a huge benefit. Vehicles, equipment, tools, musical instruments and jewelry are often the best items to have in your auction to generate the most interest in your things. An auction can change how your peers and the community value the things you have for the better. The auction process results in securing prices that are obtained by Bidders competing to buy your items, continually raising the price until the market value of that item is determined. We market your items and not just your auction. That might seem redundant or obvious, but it’s important to understand the difference. We have thousands of people that are automatically notified via email and app notifications when an auction is online. They are informed that they can now bid on the items in that auction. These regular buyers are likely to look through the catalog to some degree, regardless of the items being sold in the auction. Primarily, we have found the biggest benefit is target marketing of certain assets, or categories of items, to those most likely to purchase them. For instance, our team of trained marketers will take your catalog and market certain portions of your list, or certain items, to specific buyers who are known to be interested in specific items. For instance, if you had a 4x4 Jeep with a rag top that’s ready to drive on the beach, we would likely have a specific ad that is sent to under 40-year-olds who are likely to buy a vehicle in the next 6 months. If you had small equipment and tools, we would have another ad focused on men 30-55 years old who work in or around the construction field, such as general contractors and landscapers. If you had jewelry, there would be marketing targeted towards women 30-55 years old who are employed with jobs where they are likely to wear jewelry. It is not to say that these above examples are all inclusive of every ad we might run, or even that the target ads we run are the only categorization of people who would buy these items. But based on demographic data, we will pick a group of people to market to that has the highest likelihood to have interest in buying your items. It is much more effective than posting items on sale groups or Craigslist alone. In those cases, you are completely reliant on someone making the effort to find your item, rather than us finding them instead. In most traditional online sales, such as eBay, Craigslist or Buy/Sell groups, there is not much a seller can do to enforce the promise of someone who said they were interested in buying your things. There is no recourse if they don’t perform as agreed, meet on time, or even at all. There have been times for almost all of us, where we wonder if the person was ever really interested. In the auction company model, we require interested people to register for the auction. When people register on our site to bid, they must provide a name and contact information. Additionally, they must provide a method of payment such as a credit or debit card, which is then validated at the time of registration. At the conclusion of the auction, the winning bidder’s item(s) are invoiced and charged automatically to the card they registered with. The auction company handles all the invoicing and payment collection, so you don’t have to worry about it. A line item report is provided so you know exactly what sold, who it sold to, and how much it sold for. The price and record of sale is also available on our website, post-auction. By utilizing the Seller Managed Auctions, we are also able to pass on the savings of labor and expense to you. We know it takes time to create an accurate and well-designed catalog and auction. We also know it takes longer if we are unfamiliar with the items, or if we need to physically sort, organize, group, photograph and describe the items ourselves. When we must determine what the things are and how best to explain what they are, it takes us much more time than it would you, because these are things you are already familiar with. We have found that utilizing the Seller Managed Auctions is a way for you to save money by doing it yourself! We know that this method doesn’t fit everyone’s needs. Sometimes you don’t have the time to do this yourself. Sometimes you don’t have the emotional capacity to deal with sorting through the belongings of a lost loved one. We understand this, and we are always willing to roll up our sleeves and jump in. We are in the business of helping people. This Seller Managed Auction method has been found to be a valuable tool. Like every tool, it has a purpose that can not be used for every task at hand. We do know it has served as a great value to many of our clients thus far, and we want to help as many as we can with this. If you have additional questions or would like to get started, please contact us and we will be happy to work with you to discuss the best method to realize the most money for items you are ready to part with!